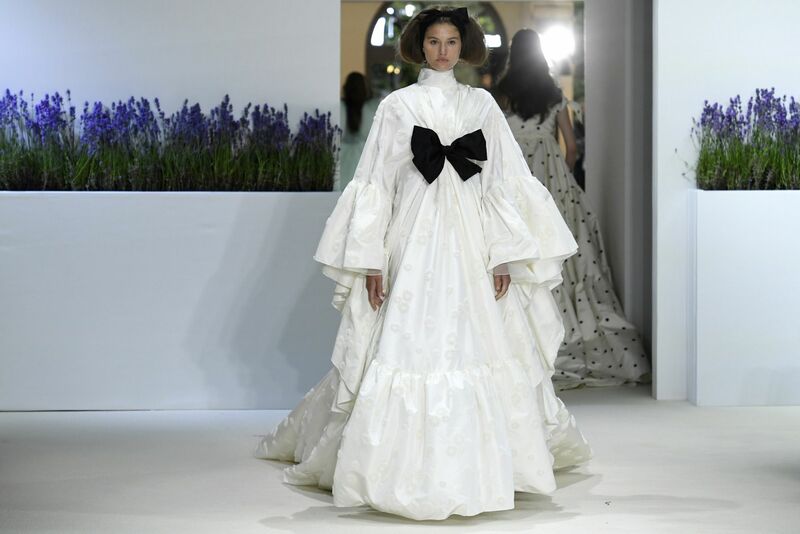 Paris haute couture week 2018, which closed last week, showcased a fantastic selection of couture wedding gowns that are likely to spark the imaginations of brides-to-be the world over. 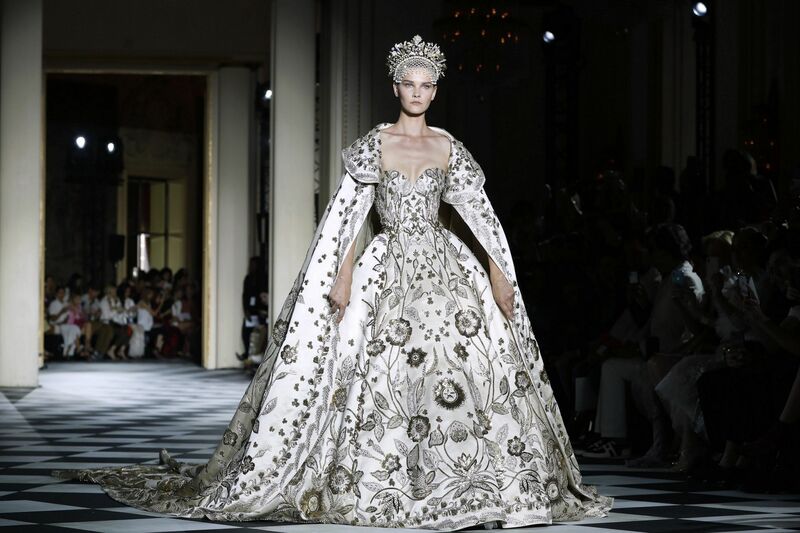 From voluminous silhouettes and intricate embroidery to spring-like hues, flowers, sheers and long trains, here's a look at some of the most magnificent and theatrical wedding gowns unveiled during the fall/winter 2018-2019 haute couture shows. This particularly imposing wedding gown from Elie Saab matches architectural lines with embroidery and three-dimensional elements. Schiaparelli's wedding dress was blooming with flowers and embroideries. 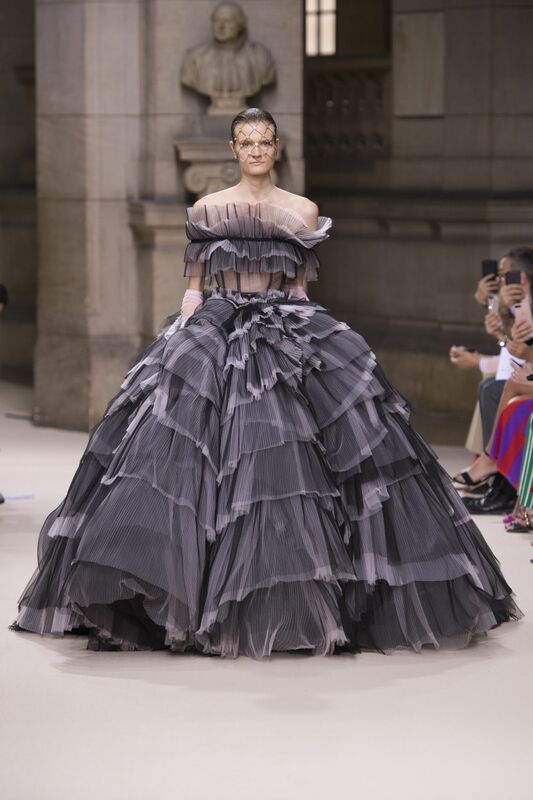 Although not officially the show's wedding gown, this final white, voluminous silhouette was one of the most spectacular creations in the Giambattista Valli collection. The gown is finished with a bow, a recurring detail in this couture collection. The Galia Lahav bridal gown stood out with its voluminous size, its waterfall of frills, and its grey tones. 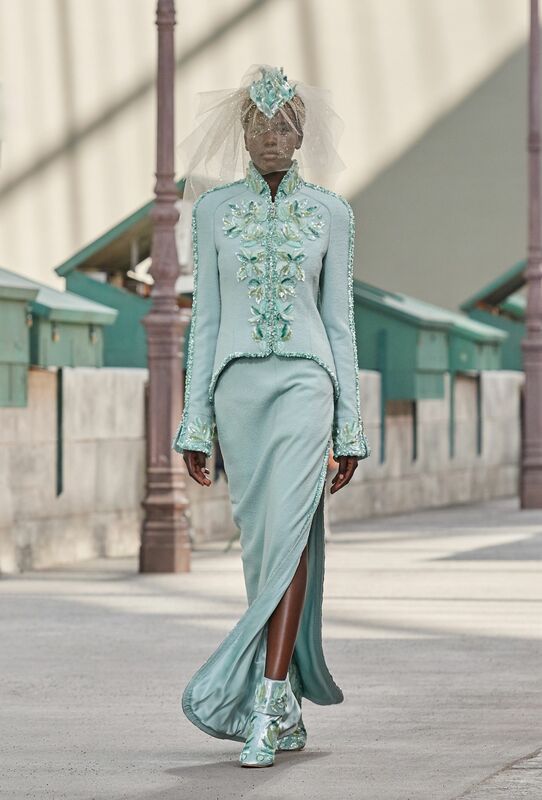 Chanel's bride stood out from the crowd in a streamlined wedding outfit featuring a slit skirt, in pale green tweed, worn with a fitted jacket embroidered with a leaf motif. 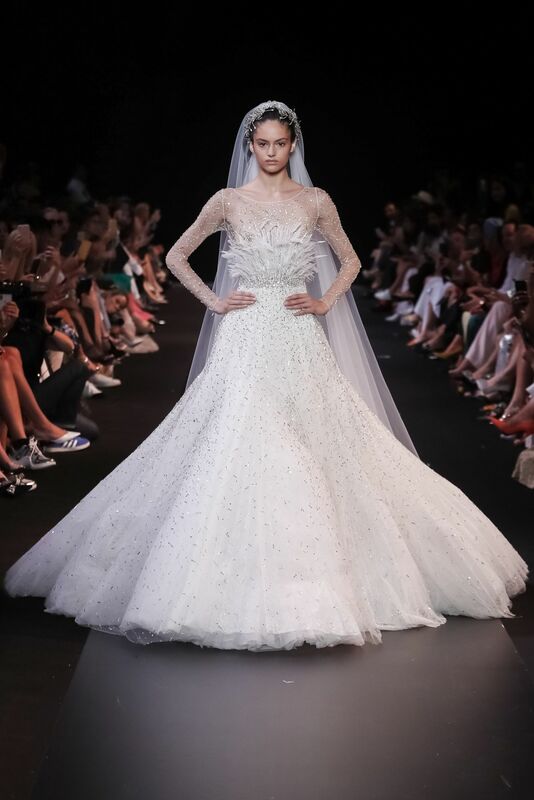 Zuhair Murad channelled imperial style with a wedding gown combining several of the show's Russian inspirations. 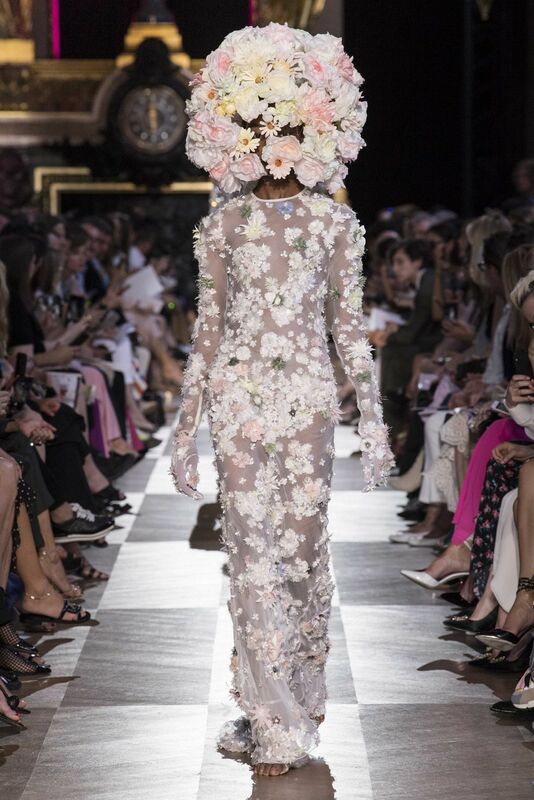 This gave rise to a sumptuous dress embellished with embroideries and a cape. The voluminous and slightly see-through bridal gown at Stéphane Rolland is made from white and crystal organza. 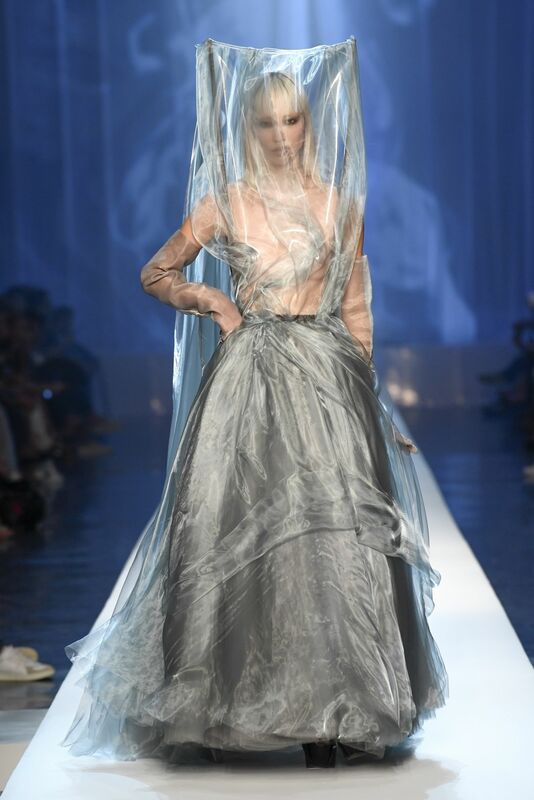 As part of the designer's smoking-themed show, this organza Jean Paul Gaultier wedding gown is inspired by a wispy cloud of cigarette smoke. The spectacular couture wedding gown from Georges Hobeika.